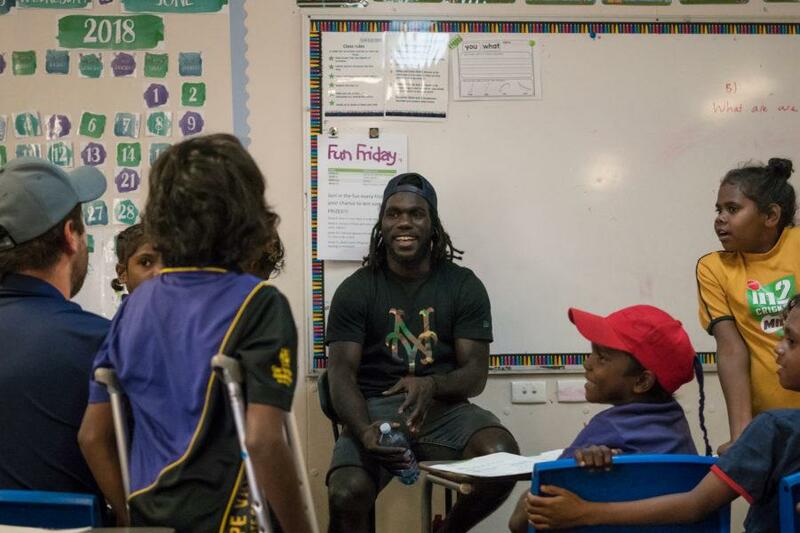 Now that the footy season is over Anthony “Walla” McDonald-Tipungwuti is trading in his boots for the Cape York Aboriginal Australian Academy (CYAAA) classroom! The star Essendon Bomber, who grew up on Melville Island and as a 16 year old couldn’t proficiently read, write or speak English, undertook training to teach using Direct Instruction. He recently spent two weeks at the Academy, spreading his time across both the Coen and Hope Vale campuses as a guest teacher, tutor and footy coach. The star footballer was inspired to be more involved with CYAAA after he visited the Hope Vale campus back in June. “The opportunity they have here in Hope Vale is really amazing. I told the kids here I wish I had that kind of support when I was growing up,” he told 9 News at the time. 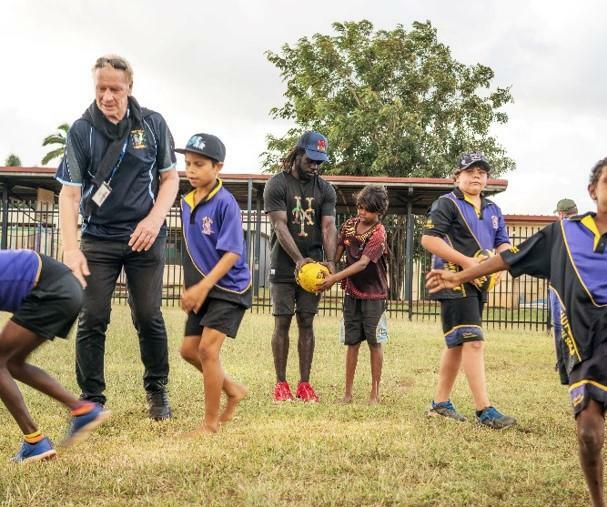 As someone who has the insight of growing up in a remote school and achieving success in his life, Walla is a great ambassador for our vision of quality education for every child. It’s well worth reading the full story of Walla’s remarkable journey in this article in The Age.